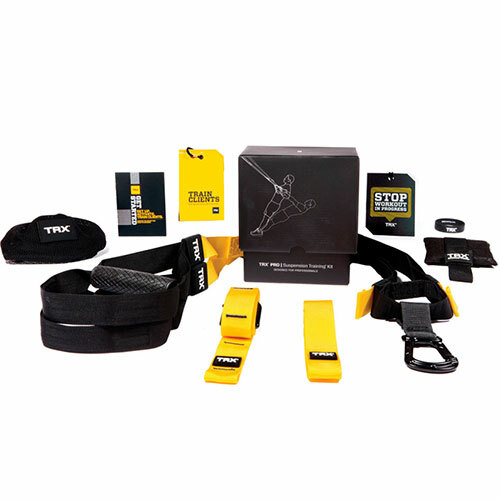 The TRX Suspension Training Pro Pack is the best-in-class, lightweight, total body training system trusted by top trainers, pro athletes and physical therapists all across the world. Boost your fitness with up to 300+ exercises you can do anywhere. • A 35-page workout guide featuring our latest exercise programming developed by experts in the field of exercise science. • PLUS, you get 2 bonus workouts: TRX Endurance Circuit and TRX Metabolic Blast. The TRX Suspension Trainer allows you to create fast effective total body workouts using only one piece of equipment that you can use ANYWHERE.